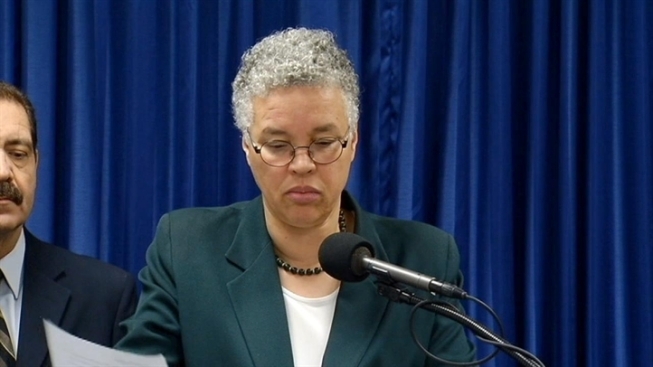 Preckwinkle Running for 2nd Congressional? "Nonsense." Cook County President Toni Preckwinkle didn't mince words when asked if she was interested in running for Jesse Jackson Jr.'s vacated Congressional seat. "Complete and total nonsense," she said Tuesday. "Not now. Not ever." Her endorsement, however, may be key. She denied she has a favorite, but a source with knowledge believes Sen. Toi Hutchinson has already won Preckwinkle's support. Huntchinson was in Washington, D.C. on Tuesday as one of many state lawmakers from across the country invited to discuss the ramifications of the so-called "fiscal cliff." "I have a number of friends in this race and at the moment I haven't decided whether or not I will endorse anyone, and if I endorse, who that will be," Preckwinkle said publicly. Periwinkle said she also holds candidates Will Burns, who is her own alderman in the city's 4th Ward, and Robin Kelly, who is currently the chief of the county's Bureau of Administration, in high regard. "And that's just the tip of the iceberg as far as the candidates, so as I said, I have lots of friends and people with whom I have worked and people with whom I hold high regard in this race and I've made no decision about what I'm going to do," she said. Preckwinkle said she was meeting with Kelly later Tuesday to suggest Kelly take a leave of absence from her county duties once she's officially filed. The board president's remarks came after commissioners unanimously passed a resolution urging the Illinois General Assembly to adopt legislation allowing undocumented immigrants to obtain driver's licenses.